Welcome to MJJForever, Tiffany. I look forward to reading your fanfics! Make sure you visit Michael's Lounge. I've got the GPAs set up in there with a thread of their very own! Hope you enjoy it here! Hello everyone let me introduce myself my name is Tiffany as you can see from the screename And am from NEW JERSEY USA OF COURSE. LOL am glad to be here with you guys. I enjoy talking about anything and everything having to do with Michael even the naughty topics ( ex GOLD PANTS) So if anyone wants to talk to me please feel free to message me. BTW I love writing fan fiction too and if you like i can post my upcoming story here on this site. If your wondering what the story will be about you can tell from my avatar hint hint. Great to see more people ands it's great to see the peoples/ SFLadies i have truely missed. Hello MJJ2506 I'm glad you finally figured out how to post. Welcome to your new home! hi everyone, this is taking some getting used to. hope some of my forum fans join soon, feeling lonely. Hi,everyone.I came over from the Sony site.It's having problems yet again;this time the comments have disappeared.It's nice to have somewhere else to go and this place looks fabulous!I've been a fan since the Jackson 5 and Michael was always my favorite of the brothers,he was close to my age and I admired him,and his abilities. awesome to see new members! I's all for L.O.V.E. of the man - MICHAEL JACKSON! Hi DJ welcome to MJJForever! Let us know if there's anything we can do to make your more comfortable! A Hello to ya all..I am dj4mj4alltime..known as ..2djspc...from MJ.com.I needed a more MJ name...just call me again as before...DJ...A little nervous here until I get the hang of it..Please have paitence..haha..Trying to find my way around here.I LOVE all the beautiful MJ's around.Thank you for inviting me to share with you!A lovely day to you all..
but untill then, we're happy to have you! Hi everyone!!! Im venice from MJ forum!! That site has been down and I did continue to post some replies but I just cant help by not seeing the replies from you guys... Therefore im here!! I still not used to this site and it took me more than half an hour to sign in... i know im being slow here... lol..
Ok, everyone direct me on where to go here and what to do? 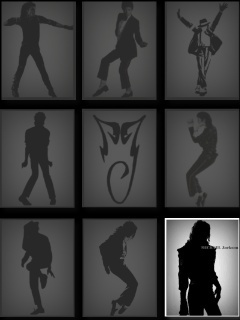 I love all the creative M.J icons and stuff here. Hello fellow MJ extended family members I'm also from MJ.com originally and I welcome you all..
Theres nothing but fun and love here so enjoy in the name of our beloved KING!!!!! G'day there possums! Dorita 'ere, still with the same nick as in mj-dot-com. Yep, the Aussie chick with 'tude! A long life fan since the Thriller era, and still going strong. It's great to be more intimate and comfortable with those of us sharing the same common being the love for our dearly beloved Michael. KitaKat, there are no words to describe that original and innovative picture siggy of yours. It's bloody brilliant! A wonderful beffiting tribute indeed! JulieD. here....the dearly deleted from Sony (thanks KitaKaT) Actually signed on here yesterday but forgot to say hello to everyone. Hello. My name is KitaKaT! OK...OK.. Seriously! Thanks for the invite to this site. Although, I fear I may have a heart attack in between MJ pics... dances... goldpants.. and ... and... "The finger"! Welcome to our lovely home which is yours too! Hope you like it here. We've got lots of neat stuff. I'm glad you decided to join us! Hi Venay, good to see you here.